Our recent trip to Kaziranga National Park left us with some amazing wildlife experiences especially the Tiger sighting, Sparring Rhinoceros, Great Hornbill sightings, Grey-headed Fish Eagle, crossing paths with a massive Tusker and finally the sighting of Hoolock Gibbons in the Gibbon Sanctuary. 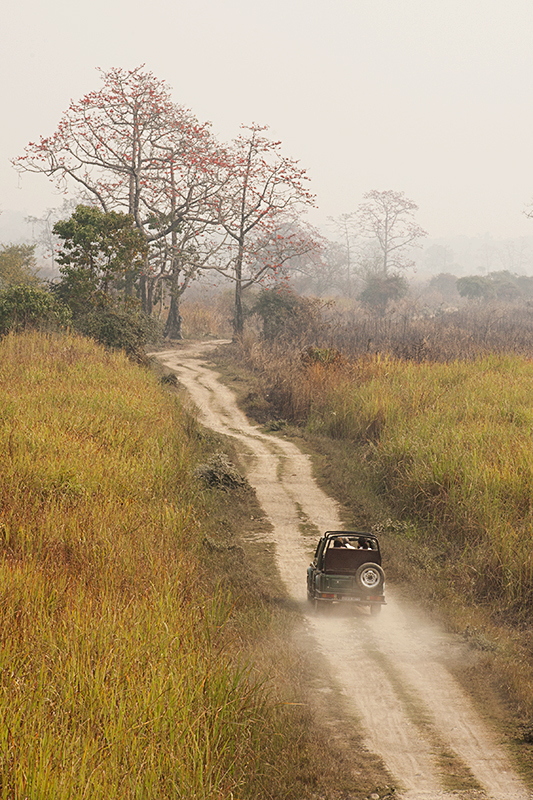 In this post we wanted to capture the essence of Kaziranga with these images of the park. 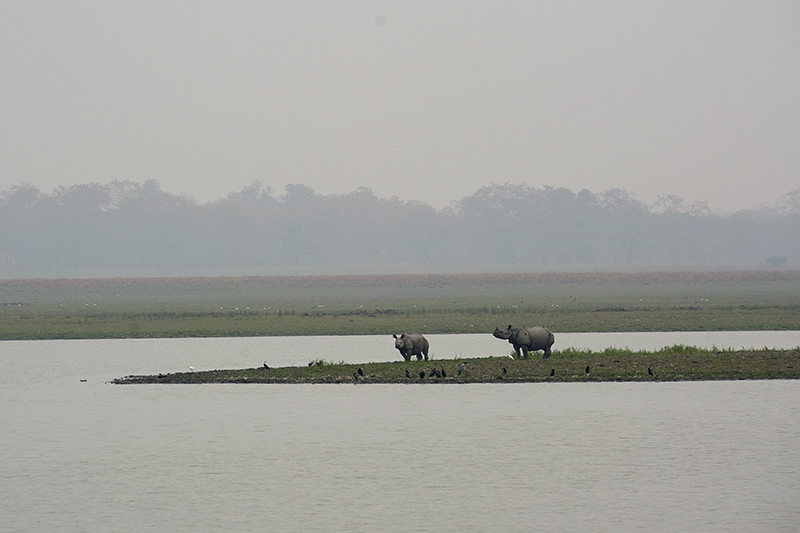 The feature image (above) was taken in mid morning when one of the Rhinoceros was crossing the swamps in Central Kaziganga range. 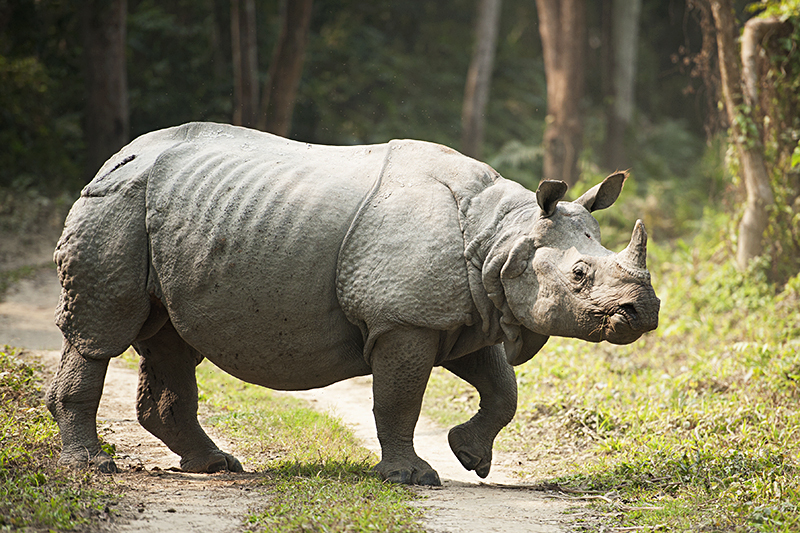 The best sighting of course was the curious Rhinoceros (below) that we saw on our very first safari. The image (above) was taken from the watch tower when a few tourists headed back on a Jeep safari. And this picture (below) of a Rhinoceros mother and calf was taken as they were foraging at the water’s edge. 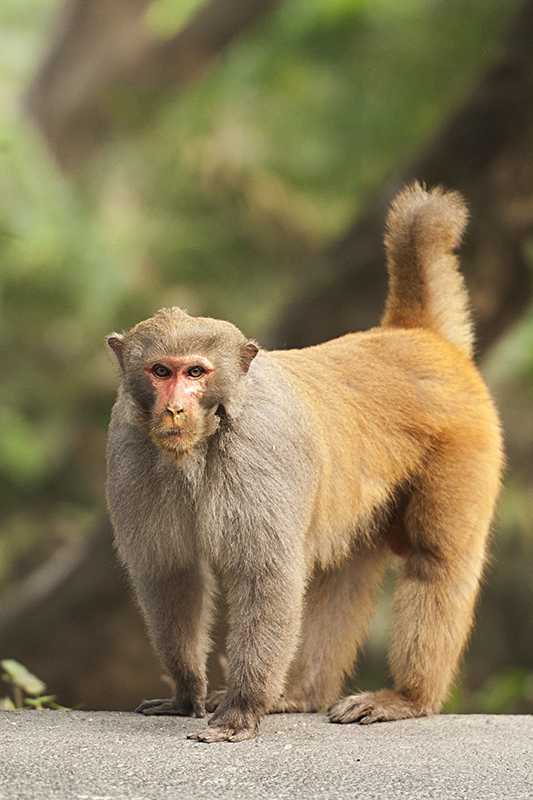 The picture (above) is of a Rhesus Macaque male, which stood its ground besides the roadside as we headed for a safari in the Western range of Kaziranga. 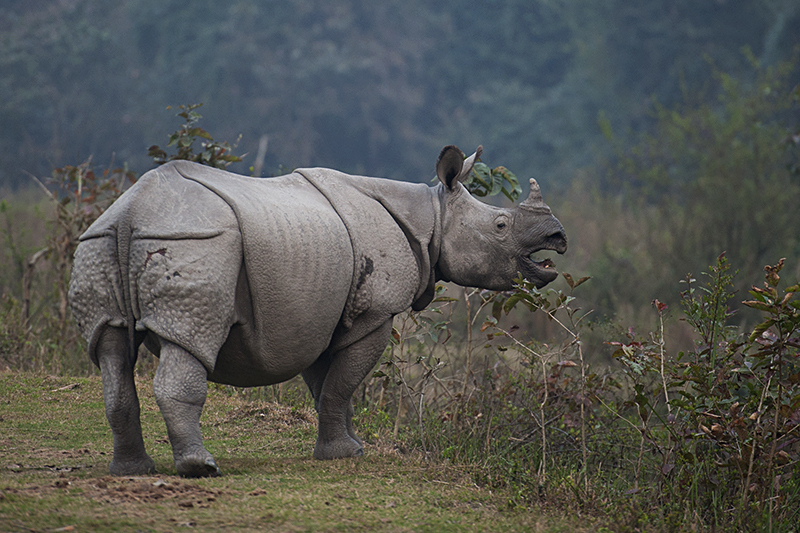 And finally this image (below) of yet another Rhinoceros was taken just as we were exiting the Central range of Kaziranga.